Quilting Adventures: Onward bound .... ! I finished hand stitching the binding on Peace and Unity. What a great feeling to complete a project. It has been washed and now put away in that special quilt cabinet! Now for the next project on that list! 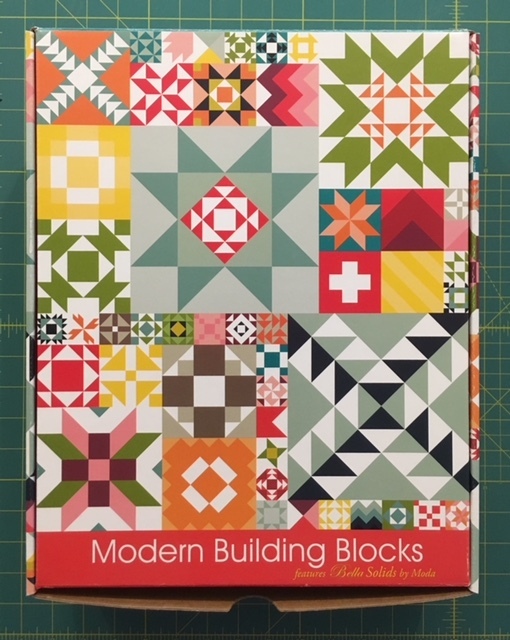 I decided to work on Modern Building Blocks, a quilt designed by Moda. I started this quilt back in February 2015. The few completed blocks have been sitting on the back of my chair, you known, that architect chair that seems to be THE place to accumulate unfinished projects! Stay cool and hydrated! Catch you all later! Cheers! lol. I have a chair that looks like that too. 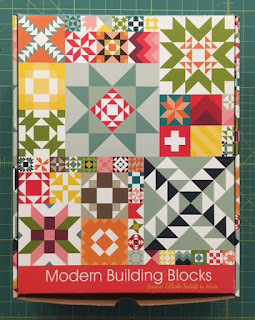 That is a beautiful quilt and the modern building blocks will be a wonderful gift for your daughter. The heat is horrid, I can't even go north to get out of it, lol. I love that Peace and Unity quilt -- congratulations on a wonderful finish!! !